Club Rules: The rules and regulations of the Club, as amended from time to time. A copy of the Club rules will be supplied to you with your application for membership and further copies will be made available on request. Commitment period: The minimum period you are committing to remain a member of the Club from the start date to the commitment period end date. By signing the Membership Application Form the member agrees to comply with these Terms and Conditions of Membership and the Club Rules. You will only be permitted to use the Club provided your membership is current and fully paid up or you have made payment arrangements acceptable to the Club. Use of the Club is only by a pre-booked and paid for personal training session, a pre-booked and paid for small group training session or by an on-line pre-booked solo training session. When you join the Club, you are agreeing to remain a member for the Commitment period. Your monthly Club membership fee will continue automatically after the Commitment Period end date at the fee rate applicable to your membership type and category of membership at that date, but subject to termination in accordance with paragraph 6.2(b). Membership fee; The level of membership fees shall be determined according to the type and category of membership. Joining Fee; This Club will never charge you a joining fee. So your monthly fee covers start up and registration costs that other clubs may charge additional fees for. Guest User Fee; A fee will be set by the Club from time to time in respect of guest of members who wish to visit the Club and use the facilities. Other Fees: All other fees and prices for the sales of goods and services at the Club will be set by the Club from time to time. Failure to pay your fees: If your bank fails to make a due Standing Order Payment from your account we will advise you of this in writing. We may charge a fee of no more than £20 for failed or missed payments. Should any membership fees not be paid for that month then you will not be allowed access to the Club. A member may, if she/he is unable to make use of the Club by reason of ill health or injury, suspend their membership for any period the member chooses. 30 days written notice must be given to the Club and the Club shall have the right to request a doctor’s certificate. No monthly membership fee will be charged in the months FOLLOWING the initial month of suspension. a) If you commit a serious or repeated breach of this agreement or the Club’s rules of membership and the breach, if capable of remedy, is not remedied within 7 days of receipt of a formal written notice. c) If you provide us with details which you know to be false when applying for membership and the false declaration would have reasonably granted our decision to grant you membership. If we terminate for any of these reasons, we reserve the right to retain 100% of the money paid under this agreement, to cover any reasonable costs incurred. a) You can give notice to terminate at any point. b) You may terminate your membership by giving the Club at least 1 full calendar months’ notice, so that your membership will terminate at the end of the following calendar month after notice was given. c) Cancelling your standing order instruction is not sufficient. This Club does not operate a system of membership cards but you will be required to join the members only area of the web site should you wish to use the on-line booking system to book slots to train in the Club on your own (without your personal trainer). This Cub does not use membership cards because the Club owner’s ethos is to ensure they know all the members by face and name. 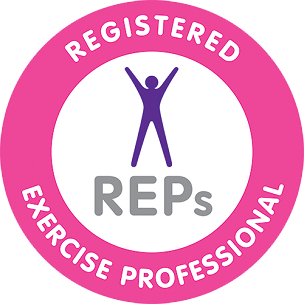 The Club’s owners believe payment by you of your relevant fee (s) and the relationship with your trainer is all that is required to recognise you as a member of SPFit. The Club is a private club and only members or their guests with the appropriate guest pass will be allowed access into the Club. The Club may amend the Club Rules from time to time in order to ensure the health and safety of its members. Temporary amendments will be displayed in the Club on a noticeboard. Permanent changes to the Club rules will only be made after 30 days notice to members, except in the case of emergency. The Club reserves the right to adjust the availability of certain facilities or close the Club on a temporary basis for the general purpose of cleaning, decorating, essential repairs, maintenance of equipment, illness and holidays. Subject to paragraphs 9.2 and 9.3 below, the Club will NOT accept liability for any loss, damage, to or theft of money, valuables or other personal property of members and guests. Property stored inside the Club is stored at the member/guests risk and no liability for loss or damage thereto will be accepted by the Club. Our liability to compensate you for any loss or damage (in the case of loss or damage other than death or personal injury) is limited to a reasonable amount having regard to such factors as whether the damage was due to a negligent act or mission by us. c) Events which either we nor our supplier could have foreseen or forestalled even if we had taken all reasonable care. Members must read all Health and Safety notices displayed in the Club and comply with their recommendations. In the event of the sale or disposal of the Club to another company or to any other person we may transfer your membership to the new owner and you will continue as a member of the Club and continue to pay your membership fees provided no changes to these terms of the Club rules having a material adverse effect on your use of the Club are made by the new owner. Any such disposal will not affect your contractual or statutory rights. Notices from you to the Club must be in writing and addressed to the owner of the Club. The Club reserves the right to require evidence of posting or delivery where it has no record or receipt or the date of any notice appears inconsistent with the date of receipt. In these cases the notice will be deemed not given unless such evidence is produced. Any notice handed to the Club must be receipted. Notices from the Club to you will be posted to you at your address in the membership records (or where the terms permit, displayed on notice boards at the Club).